In 1854 the names of the original streets, Cross, Anthony, Orange, and Little Water, which had formed the Five Points intersection (marked with a star) from which the neighborhood derived its name were changed to Park, Worth, Baxter and Mission Place, respectively. 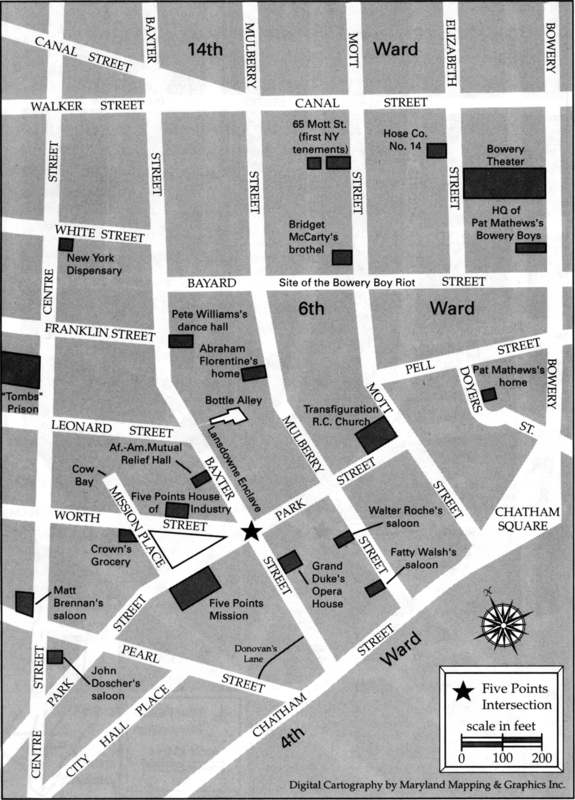 The map also shows the locations of several key landmarks of the mid-nineteenth century Five Points, including the city's first tenement building at 65 Mott Street, the Bowery Theater on Bowery between Canal and Bayard, and the Five Points House of Industry, previously the Old Brewery slum building, on Worth Street. Source | Tyler Anbinder, Five Points (New York: The Free Press, 2001). 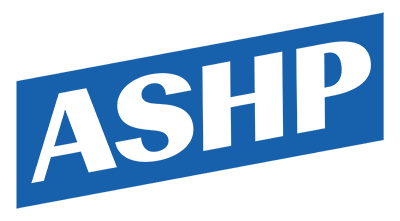 Creator | Maryland Mapping & Graphics Inc. Cite This document | Maryland Mapping & Graphics Inc., “Map of the Five Points Neighborhood, 1855-67,” HERB: Resources for Teachers, accessed April 20, 2019, https://herb.ashp.cuny.edu/items/show/832.